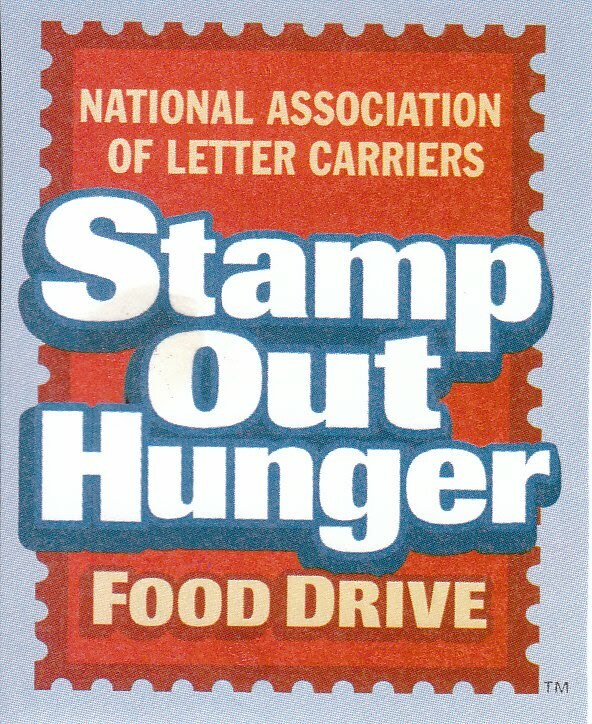 The National Association of Letter Carriers, in conjunction with the United States Postal Service®, will be holding its annual Stamp Out Hunger food drive this Saturday, May 8, 2010. Carriers will be collecting non-perishable items such as canned meats and fish, canned soup, juice, rice, pasta, vegetables and cereal on Saturday, May 8 to help families in need in our communities. Hunger affects over 49 million people across the United States, some of them in your communities. Please help a family in need by placing a food donation at your mailbox on May 8 before your letter carrier arrives with the day's mail. It will be taken to the Post Office and then delivered to local food banks or pantries. 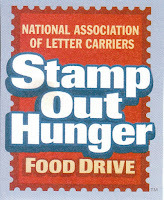 Stamp Out Hunger is the nation's largest single-day food drive. For more information and to see a Public Service Announcement featuring David Arquette, visit the Stamp Out Hunger Web site. More information can also be found at the USPS Web site, www.usps.com/stampouthunger. ** Please do not include items that have expired or those in glass containers. this is fab, thanks for this, off to RT this for you. I love knowing things like this. Thanks for letting us know. I had no idea that was happening Saturday!